Firms need to be able to focus on running their businesses, not worrying about their computers. 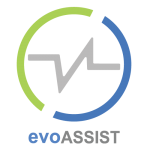 evoASSIST is our monitoring and support engine, proactively managing your information technology. It’s the “watchman” keeping an eye on the health of all your tech, delivering updates, allowing “instant” support via remote assistance, and “calling home” if something doesn’t seem right. Anticipating tech problems … to successfully avoid them.